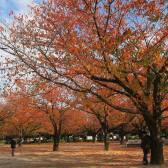 Every week I teach German and English to two small, little Japanese girls. They already have English in school, but their parents like to have some more language support for their kids. Also, when they were in kindergarten, they spent one year in Germany and learnt a little bit German. In order to keep up their German for the future, I also help the kids with their studies. The good point is that English and German have very similar grammar and also vocabulary, that makes it very easy to teach both language together to the kids. The kids are still in elementary school, that's why I was looking for some teaching materials which are easy to understand for kids. After trying out many books and flashcards, I've found the perfect book for us. The “Japanese Illustrated Dictionary” is in English and Japanese with many pictures perfect for kids. The book starts with vocabulary around the house and lives of each of us. You can find all the words for the most important interior of each room and also for going to the supermarket or restaurant. 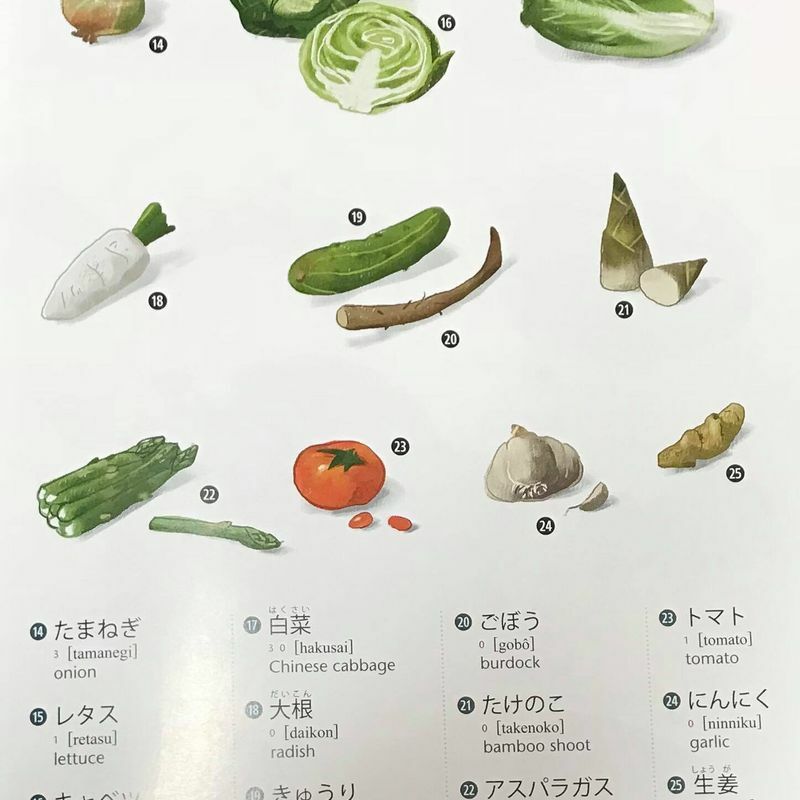 These are pictured and are listed in English / Japanese. After that you will find vocabulary about different topics like all kind of fruits, colors, expressions and even verbs. The book has around 1,200 different vocabulary, all with pictures and very easy to understand. 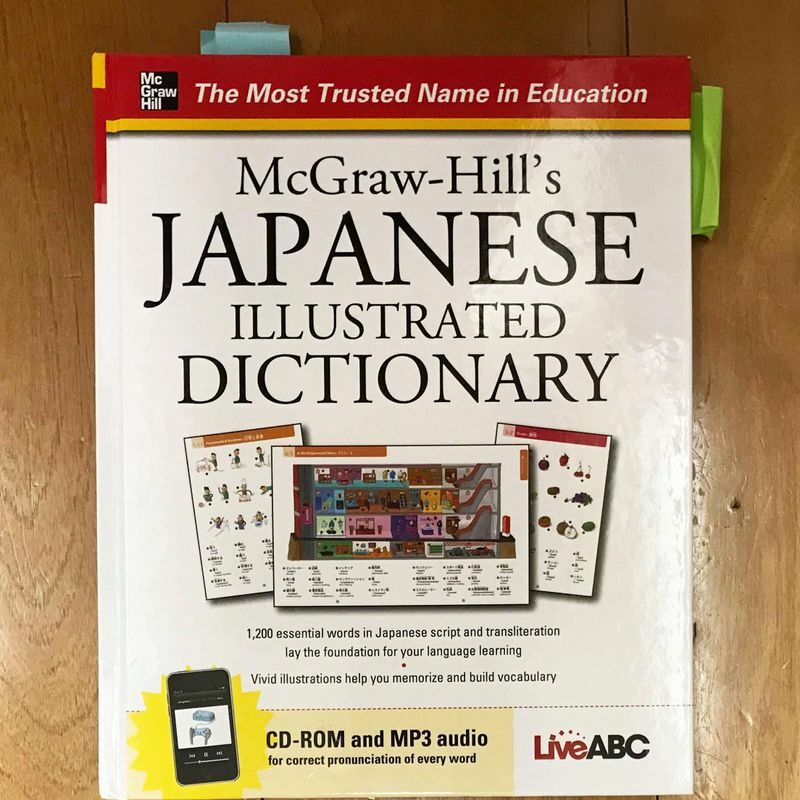 Especially good for young learners is that each page has just a small amount of vocabulary and is not fully packed like in other English/Japanese dictionaries for kids. The book also has an audio CD with all the vocabulary from the book. The kids can easily listen to the audio and repeat it, even if I'm not with them. 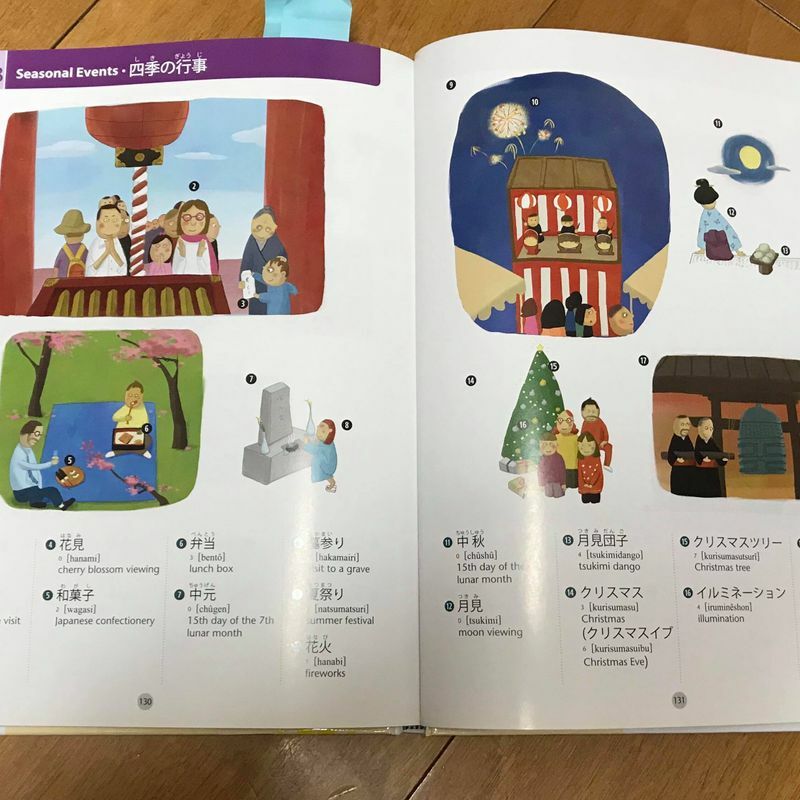 The “Japanese Illustrated Dictionary also covers some ”typical Japanese themes like what can you find in a tatami room, Japanese food, and cultural words. All in one it is a very nice book for teaching kids the language. 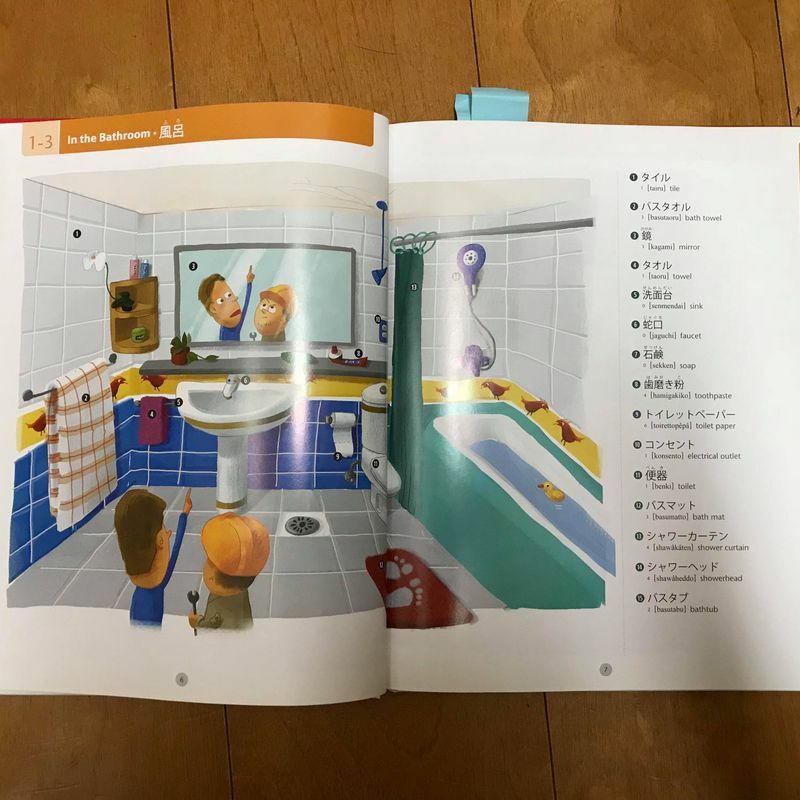 I also used it myself to study Japanese in the beginning because it is way easier to remember vocabulary through pictures than just reading the word alone.